I am providing this service to support other outdoorsmen. 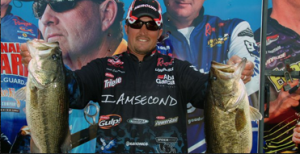 Also if you have a unique article that you would like to have published on Lake Fork Trophy Bass, please contact us. We will review it and publish it if, we feel it fits the theme of the site. Lake Texoma Fishing – Climb aboard and let’s go striper fishing in Lake Texoma with Captain Rick Sproat of FossilCreekTGS.com. Bassin’ Tips has some really great articles about bass fishing methods and techniques. Take a look you won’t regret it.